According to Chuck Cowdery, The Old Hickory was a Publicker brand based in Philadelphia. 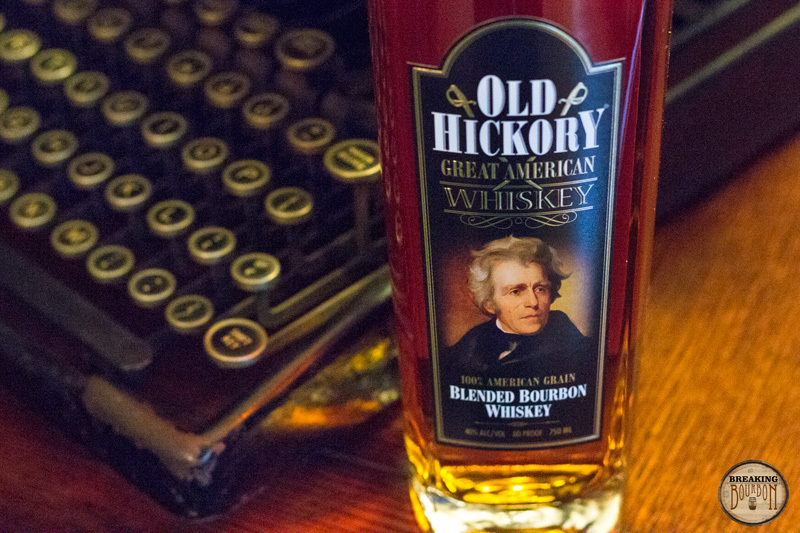 The company was one of the big “American liquor companies post-Prohibition.” The name 'Old Hickory' is a reference to Andrew Jackson, 17th president of the United States. Cowdery reports that the brand is estimated to have folded in 1981. R.S. Lipman Company acquired the brand in 2013. R.S. 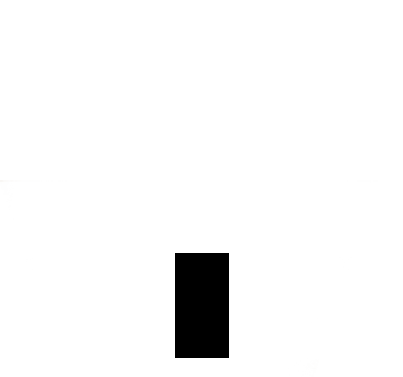 Lipman Company is a distribution company in Tennessee. 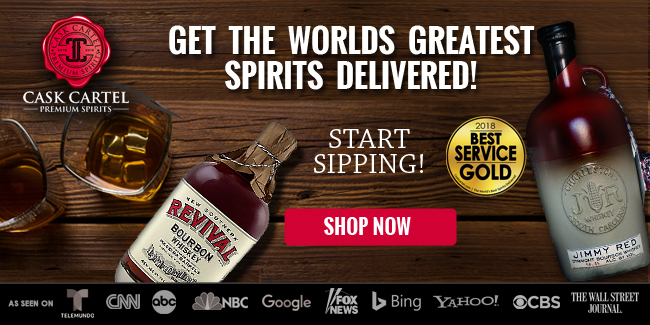 According to the company, the Lipman family has been buying and blending proprietary whiskeys since the repeal of prohibition. 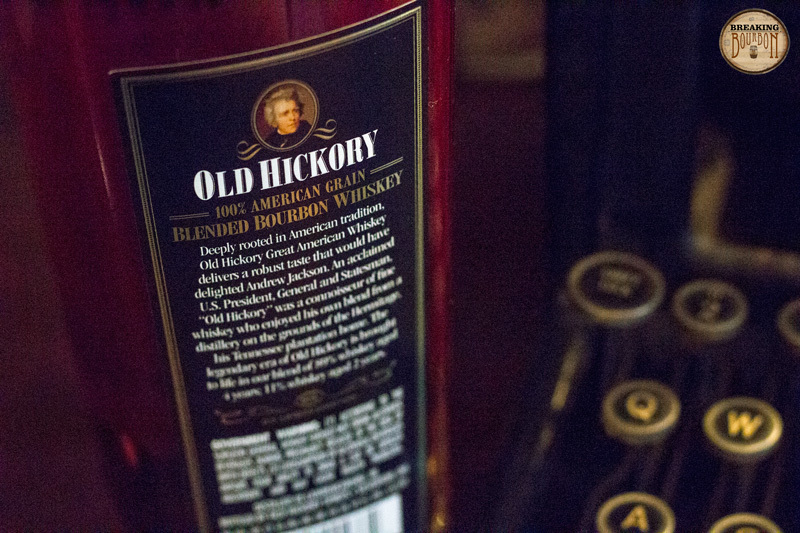 Old Hickory Whiskeys were sourced from the the Joseph E. Seagram’s facility in Lawrenceburg, IN. 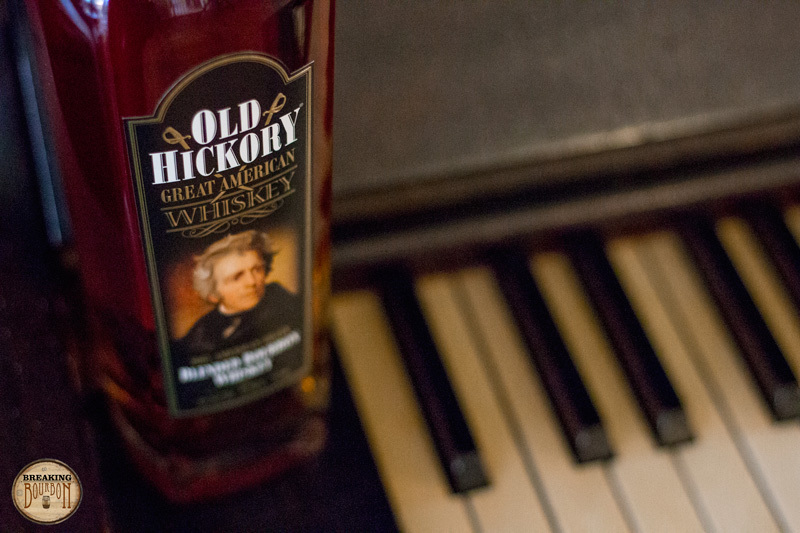 Both Old Hickory Black and White Labels are “custom blends made from selected made from Lipman-owned stocks of aged bourbon.” The mashbills were created in conjunction with longtime Seagram’s master blender, Pam Soule and contain 90% corn and rye. The whiskey is in limited distribution, but expanding, with additional expressions planned in the future. Quite bright and chipper. A strong pop of crème brûlée that’s nicely mingled with notes of almond, and even slight hints of bubble gum. I would have liked the aromas to be a bit stronger mainly because of my enjoyment factor here. If you’re partial to crème brûlée, this nose is going to be hard to dislike since it plays such a prominent part of the flavor. Minor notes of crème brûlée and almond from the nose continue into the palate, which are reinforced by slightly stronger notes of butterscotch and oak. The nose and palate work well blending complementary flavors together. Much like the nose, I would have liked a deeper, more prevalent breadth of flavors. As a result this whiskey is somewhat curbed by its thin palate. However, there is a chance that a stronger array of flavors might overpower the notable influence the nose contributes to this whiskey’s palate. Medium length with the slightest of burns. 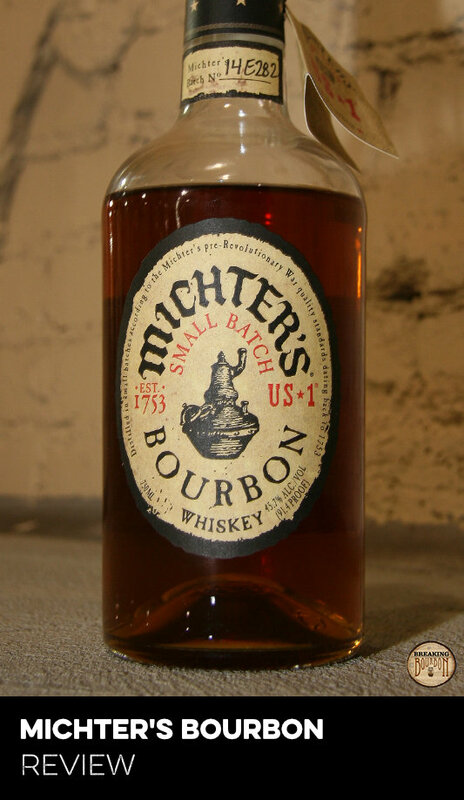 Minor oak notes swell then mellow, which complements this whiskey’s palate well. No hint of youth on the finish despite containing 2 and 4 year old whiskeys. Faint hints of leather, toffee, and dried fruit on the backend, but not enough to make a lasting impact. There’s also a faint hint of custard on the tail end of the finish, but I wonder if it’s a lingering aroma influencing my tastebuds. Crème brûlée is not unheard of as an element of a whiskey’s flavor profile. 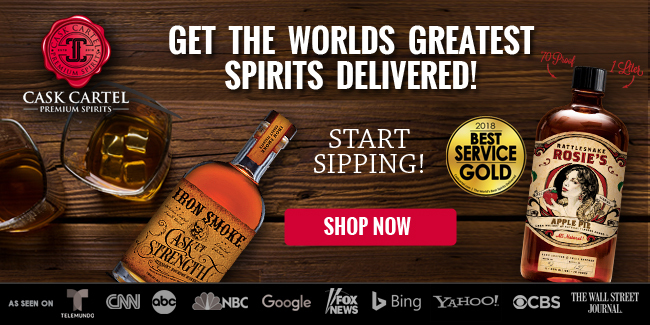 I just can’t think of any other whiskey that has it at such the forefront. 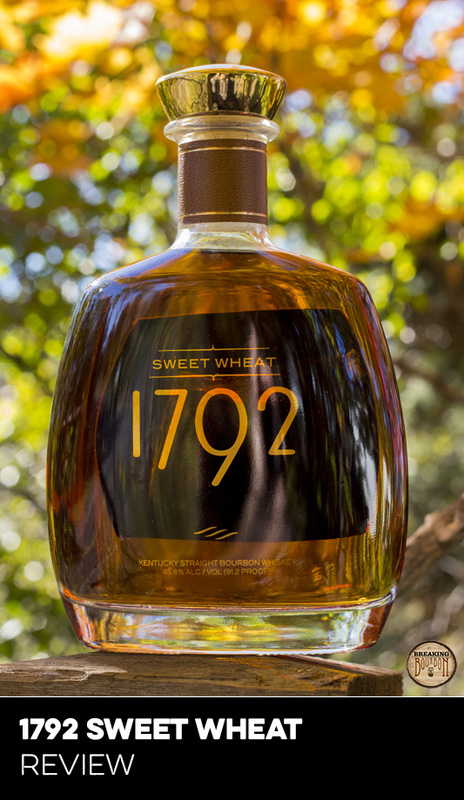 It may turn some people off, but that could be said of any dominant flavor in a whiskey. In this case, I find it a refreshing departure and was certainly surprised by it. It is notable that this whiskey smells unlike any whiskey I’ve had before, and for many the custard aromas will probably be hard to dislike. 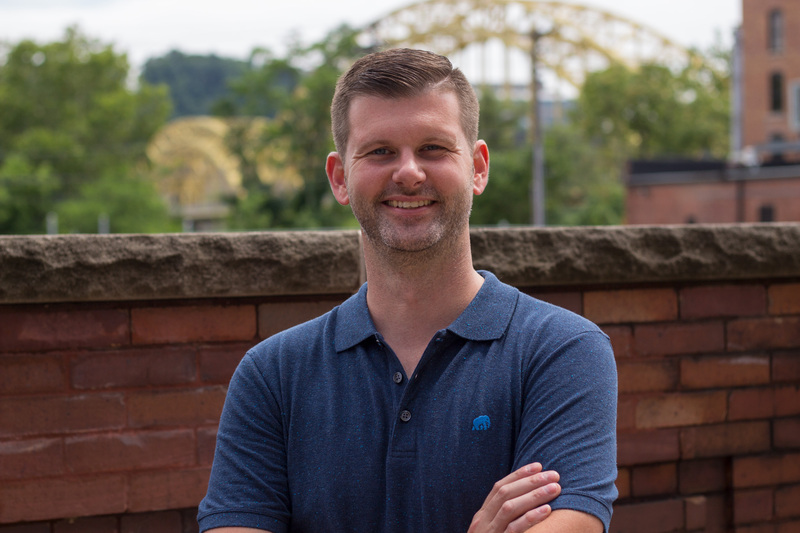 Before learning the price of this whiskey, I figured being a sourced whiskey from a company not widely known for their own brands, it would most likely command a higher-than-expected price. 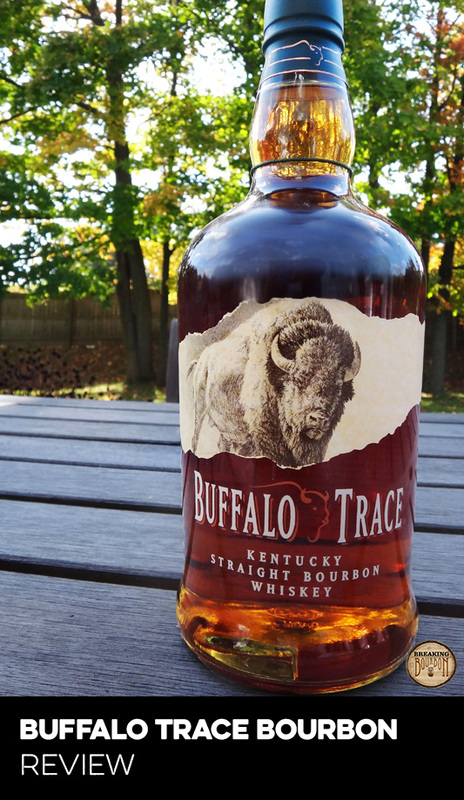 Few companies selling sourced whiskey are able to sell it at competitive prices against the big Kentucky distilleries. 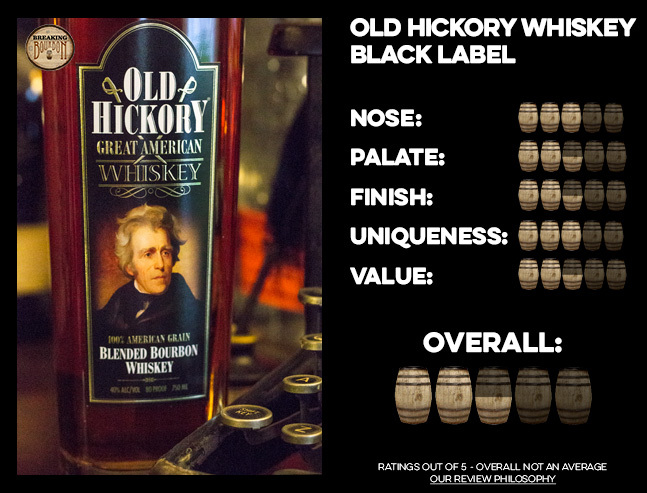 Priced at $30, Old Hickory Whiskey Black Label is within the realm of acceptability and in some ways can be applauded for its competitive pricing. 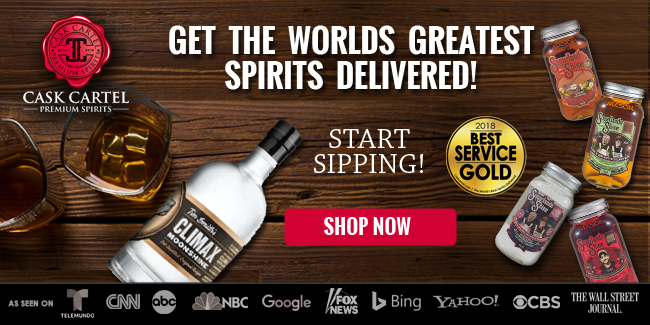 It certainly has some stiff competition, both in comparative pricing and overall quality from the big distilleries’ brands, but at least it has a fair chance at this price. An easy drinker thanks to an array of sweet and agreeable flavors, and a competitive price. 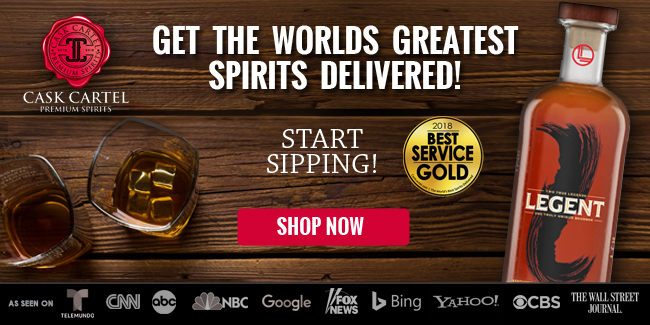 By far this whiskey’s standout trait is that it’s an incredibly easy drinker. The proof is a contributing factor, but it’s also the whiskey’s sweet custard-like nose, followed by a light palate and tame oak notes that steer it in this direction. It may not be for a whiskey connoisseur looking for a deep and developed palate, but more so for the connoisseur’s friends and family. 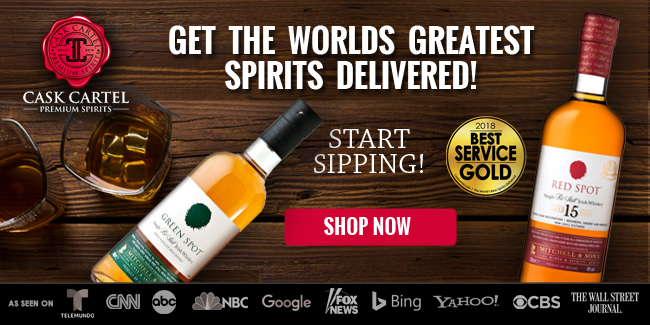 At an affordable price, containing easy-to-like flavors and a low proofpoint, this whiskey can be perfect for certain occasions. 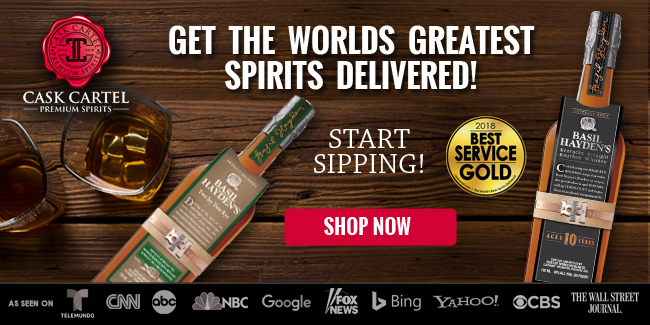 Knowing those occasions and your audience will be key to getting the most out of this whiskey. The sample used for this review was provided at no cost courtesy of R.S. Lipman Company. We thank them for allowing us to review it with no strings attached.